How do I become a puppy raiser? 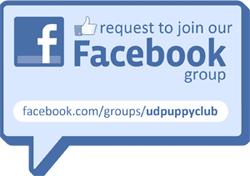 To become a puppy raiser for PROUD, you must attend club meetings and events on a regular basis, complete all requirements, and submit an application. How do I become a puppy sitter? To become a puppy sitter you must attend two general meetings and take a puppy quiz. After passing the quiz, you can become a puppy sitter, but you still must continue to attend meetings and events. In order to puppy sit in your residence hall, you will also need to gain housing approval. When and where are club meetings held? Meetings are held on the 1st Tuesday and 3rd Sunday of every month. See the events page for specific meeting dates, times, and locations. Can I raise a puppy in my residence hall? Only certain areas on campus are approved for housing Seeing Eye puppies. The currently approved areas are rooms in the Courtyards and Ray Street B. The club will aid members interested in raising a puppy on campus in applying for approved housing. What identifies a puppy as a Seeing Eye puppy? The Seeing Eye provides each puppy with a green bandana (younger puppies) or a green vest (puppies over 6 month) which identify the puppies in public. Please do not go up and pet or call out to a dog wearing one of these bandanas or vests. When the puppy becomes a guide dog it is very distracting to the dog and handler to have people just walk up and pet the animal. Instead, speak directly to the handler – we’d be more than happy to talk to you and will often then allow you to pet our puppy! Can raisers take the dogs anywhere since they are going to be Seeing Eye dogs? Although working Seeing Eye dogs are allowed access to all public places, Seeing Eye puppies are not. Raisers need to check with managers or owners before visiting a public place to make sure it is okay. The Seeing Eye also does not encourage taking puppies to food stores and restaurants. On campus the puppies are allowed in most University buildings except the dining halls, gym, and labs to name a few. Raisers speak with their Professors prior to bringing the dog to class. The dogs are also allowed on University buses and at sporting events. What kind of training do the puppy raisers give the dog? Raisers teach the puppies basic obedience and give them lots of social exposure and love. At each meeting a training circle is held where the basic obedience consisting of sit, down, rest, and recall is reviewed. The dogs are never taught to “heel,” but rather to have a firm, steady pull. The dogs are also taught good house manners such as staying off furniture, not jumping up on people, not barking/whining, and no people food. Why do the dogs have such strange names? Each litter of puppies born at The Seeing Eye is assigned a letter in the alphabet and each puppy in that litter has a name beginning with that letter. What breeds does The Seeing Eye use? German Shepards, Labs, Golden Retrievers, Golden/Lab Crosses, and the occasional Boxer and Poodle.